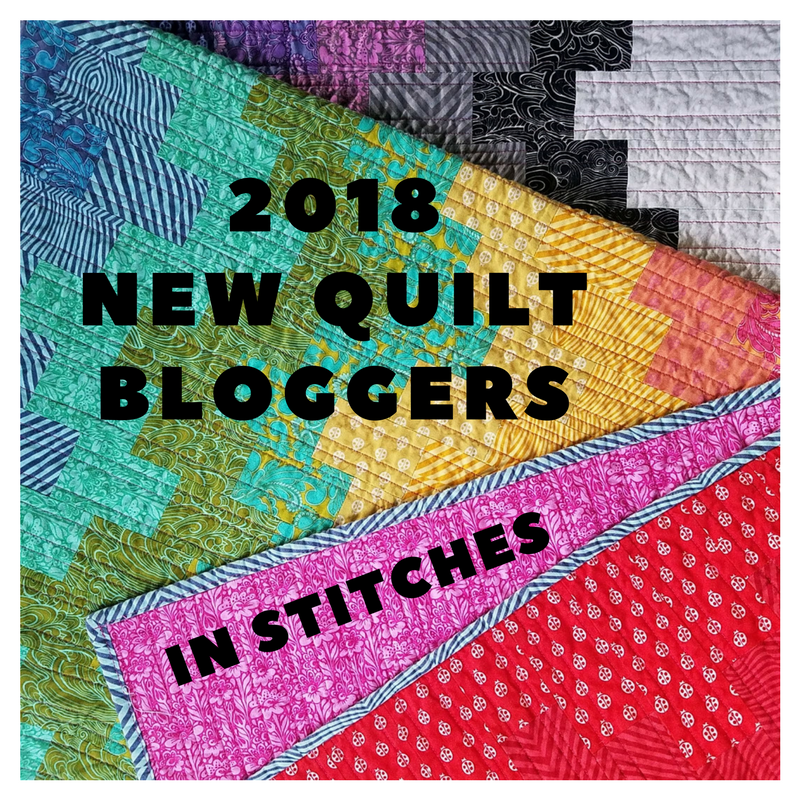 Hello everyone, and welcome to this stop on the 2018 New Quilt Bloggers Blog Hop. I'm glad you're here! Please stick around until the end of this post so you can learn more about a giveaway from the generous Blog Hop sponsors! My name is Carrie, which you might have figured out from the title of my blog. 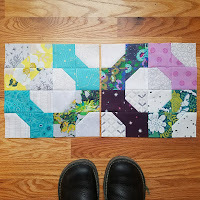 I'm relatively new to quilting and blogging so I'm excited to be joining this year's New Quilt Bloggers Blog Hop to improve my blogging and make new connections in the quilting community. It has been an honor to learn from the other bloggers participating in this year's hop. 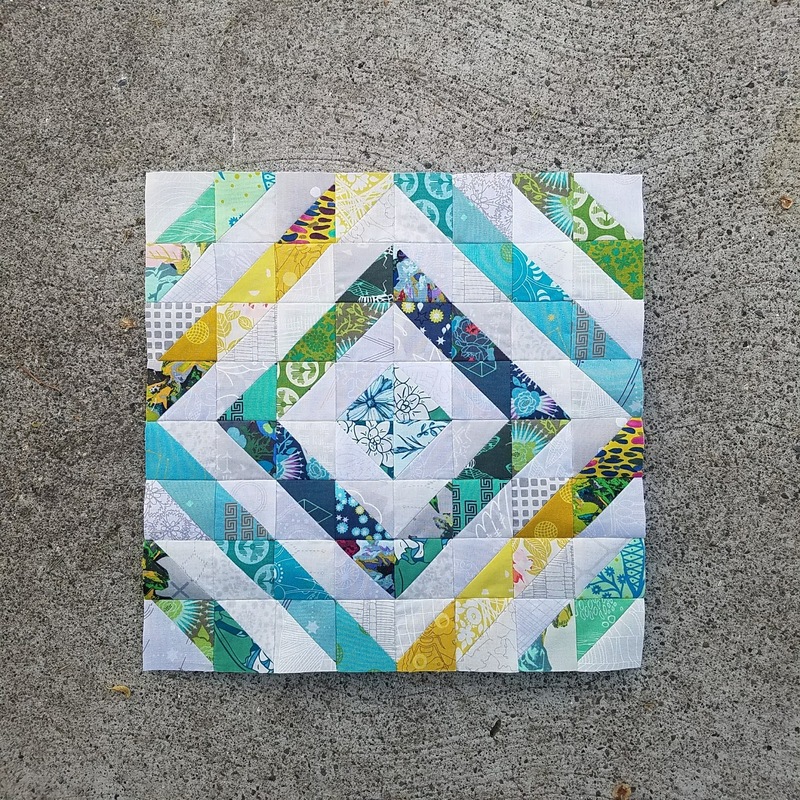 Most of them have way more experience with both blogging and quilting than I do, so I've learned so much from everyone that is participating and my In Stitches "hive." I'd especially like to thank our hive leader Sandra from Musings of a Menopausal Melon - mmm! quilts who went above and beyond to mentor and encourage me! About two years ago I bought a modest sewing machine on a whim. I always thought I would give quilting a try. Someday. I thought there was no way I would have time to learn how to quilt at this point in my life. Well, I turned on the machine and haven't stopped sewing since! I had no sewing experience, so I just started to learn by doing. 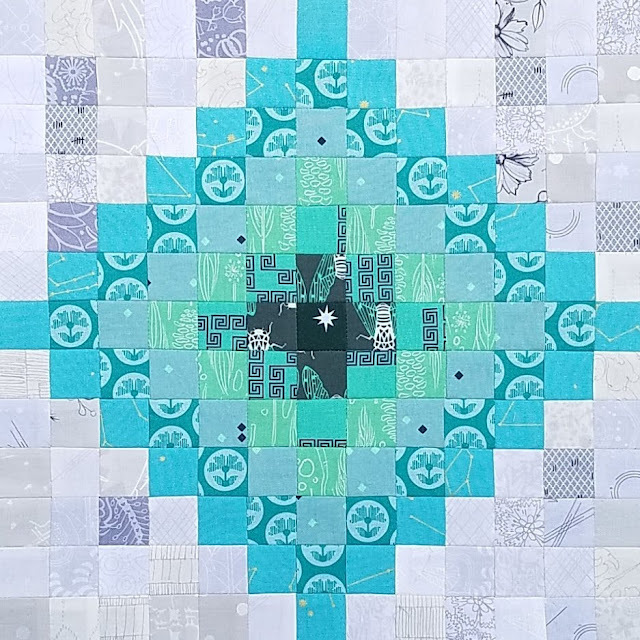 One of the things I love most about the quilting community is that people are not stingy with what they know and share it with others so they can learn too. Because of this I was able to learn so much through the vast array of tutorials, tips, tricks and techniques shared by other quilters without ever leaving my sewing room!!! Right when I started sewing I discovered The Splendid Sampler. It was WAY beyond my skills and abilities at the time, but the patterns were free with great tutorials and a huge community to learn from. My approach was simple: I would sew a block. Then I would sew it again. Sometimes multiple times over and over again until I felt like I "got it." Then I would move on to the next block. I learned so many things and improved my skills with every stitch! Another benefit was that it helped me quickly refine and understand my quilting interests. It didn't take long to learn that I LOVE piecing but I'm not super excited about appliqué or embroidery. At least not right now. To each their own!!! 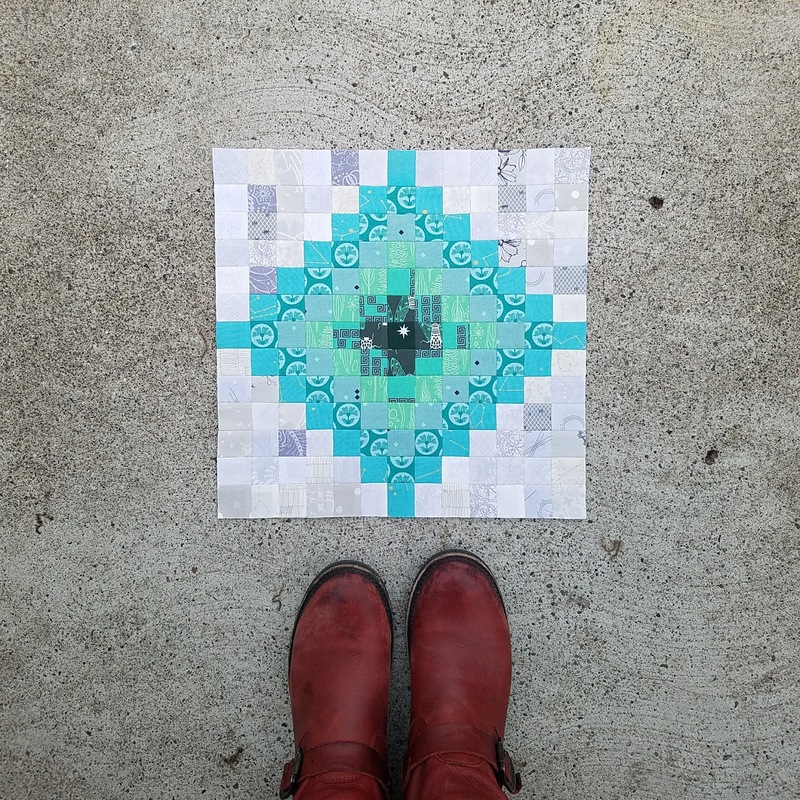 I was so grateful this sampler helped me try different things and hone my interests! Even though I know what interests me, I would say I'm still a long ways away from pinpointing my "style." 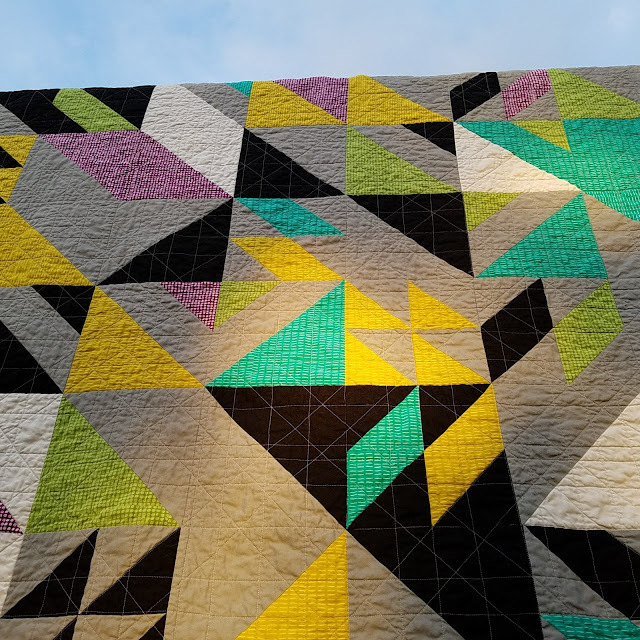 I'm drawn to modern quilts and I learn more about "me" with every block I make and project I complete. 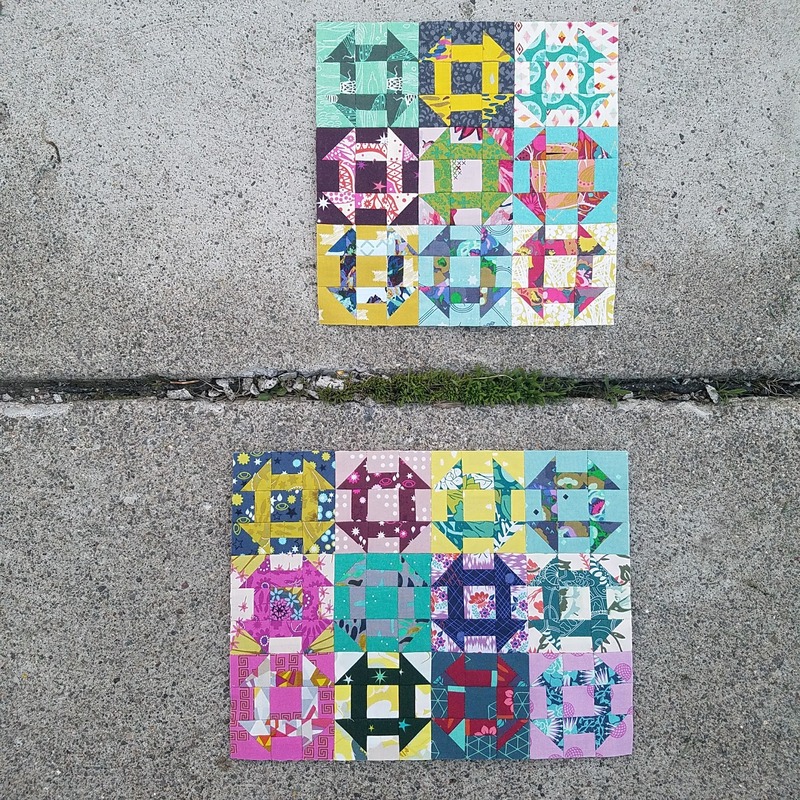 I have sewn quite a few blocks, but only completed a few quilts. I am still too new with too few finishes under my belt to really say I "know" my style. And that is what I LOVE about quilting: I get to keep learning and growing all the time and my style and interests are constantly evolving. With that in mind, I'm sharing a few of my finishes and a bit about what I learned through the process of making them. 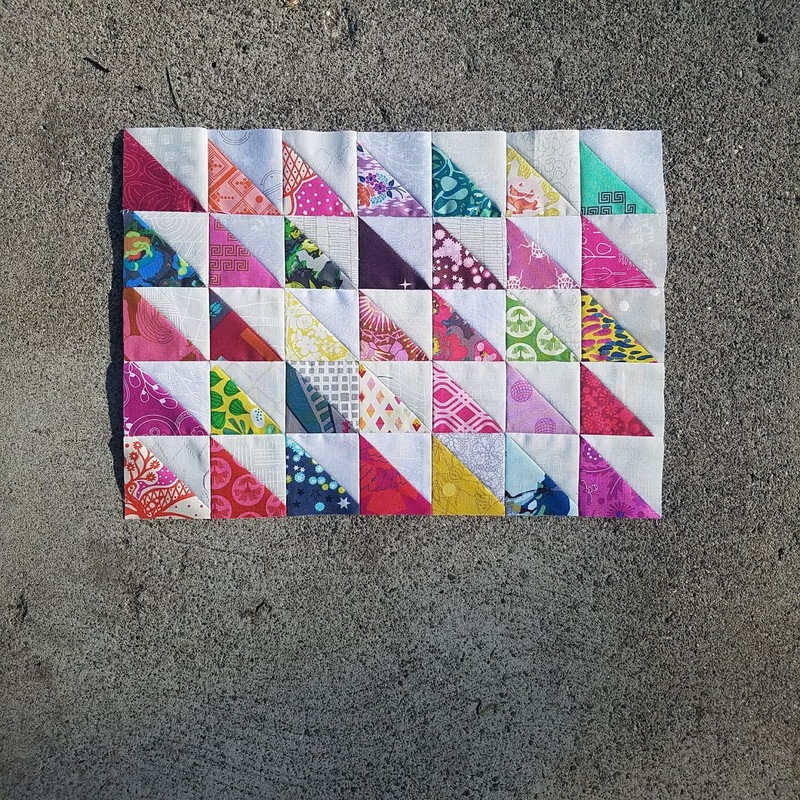 I can say without a doubt my favorite finish so far is my first 100 Days 100 Blocks quilt made using Tula Pink's City Sampler book. This quilt has been on my bed since the day it was finished, and it is hands down my most meaningful finish to date. There was something so wonderful about the first go around of this sew-along hosted by GnomeAngel. 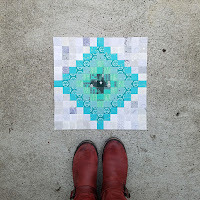 Maybe it was the fact that I was just starting my quilting journey and it allowed me to make meaningful connections with so many wonderful people that I still connect with (mostly on Instagram). I have yet to participate in another quilt along where the sense of community and connection was as strong for me. 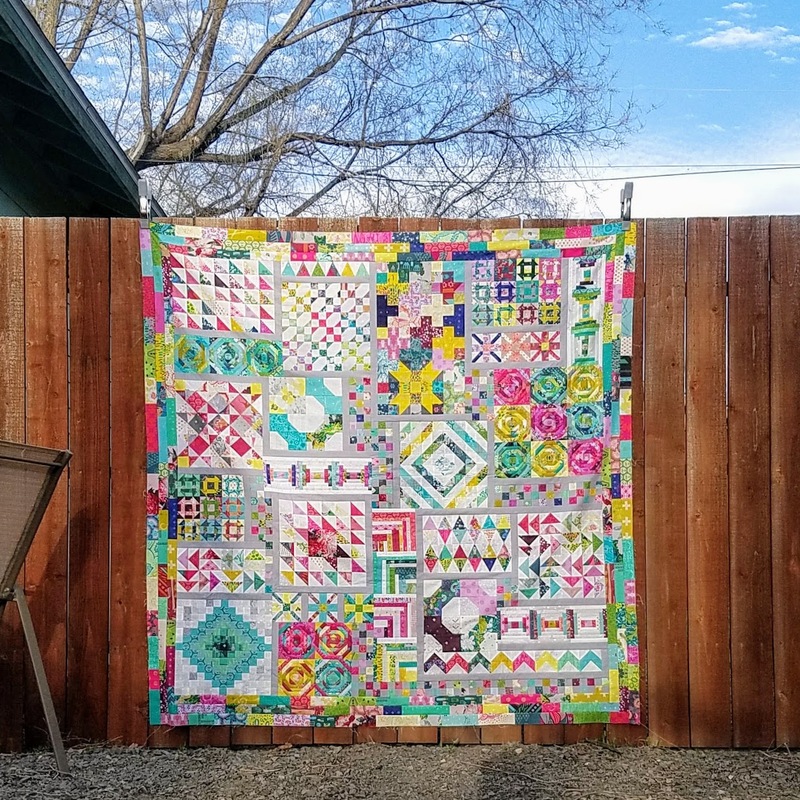 Not only do I love this quilt but I loved the whole experience of making it!!! So much so that I also participated a second time (100 days 100 blocks 2017). I had a great time, but it just wasn't the same. But I do have an idea for another quilt using this pattern so I may just have to join round number three (100 Days 100 Blocks 2018) this summer! 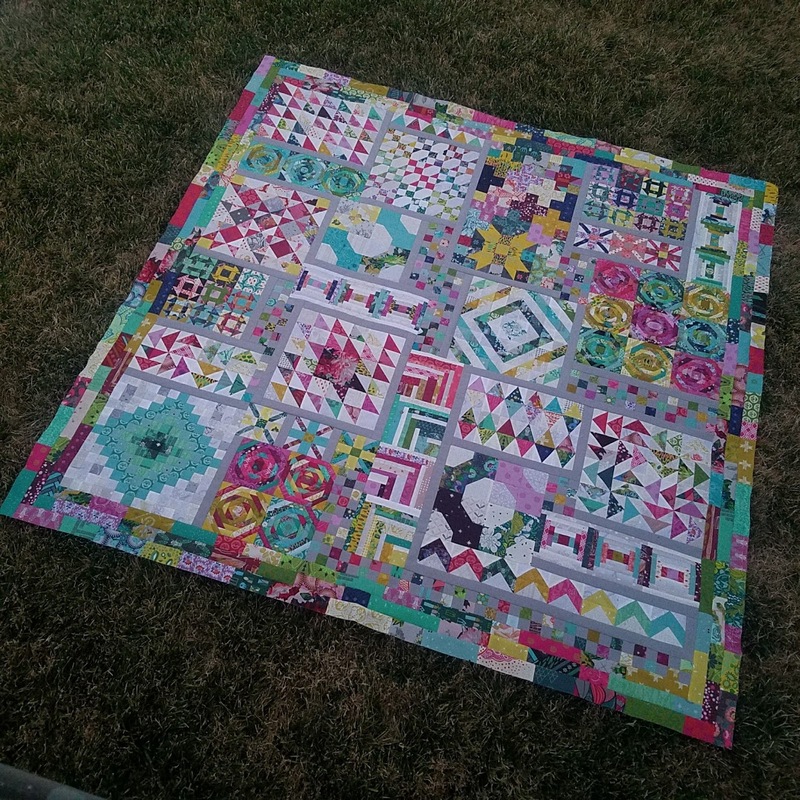 It was so exciting when I finished a quilt I could actually use!!! 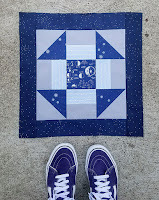 I love the Rebel Quilt pattern, it was extremely well written and easy for a newbie to follow. I also loved learning about the process Libs Elliott used to create it. And while I do love the colors I used, by making it I realized that I'm not a fan of batiks. Again, to each their own! As usual, making this quilt helped me hone my interests just a little bit more. I also love this photo of my girls looking at it. Right around the time I decided to start quilting, I found the Sedimental Quilt and couldn't resist the rainbow! 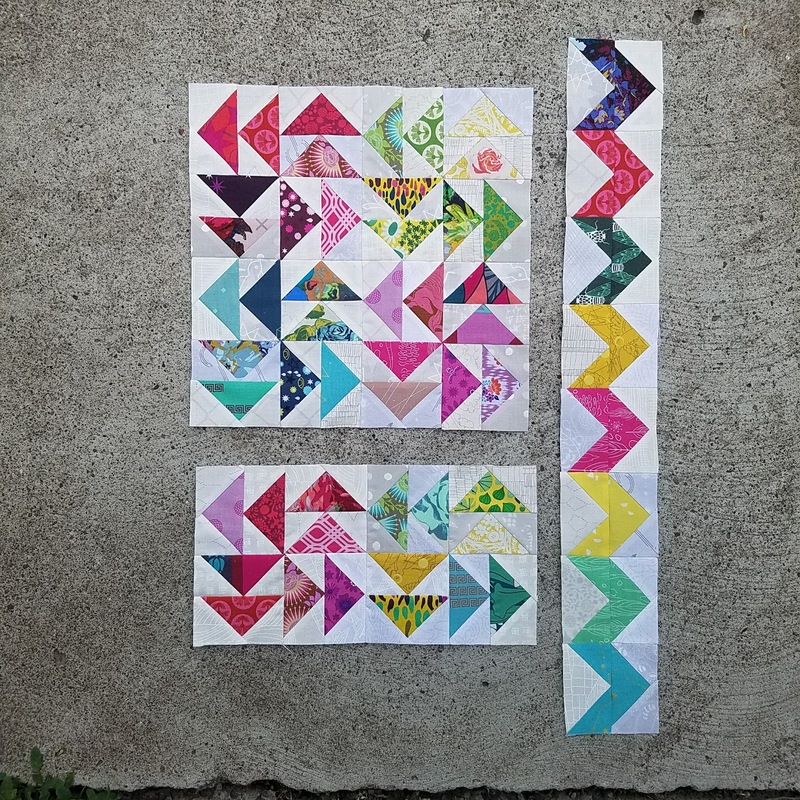 I put it away in favor of other projects, but when I decided I might want to use some of the Tula Pink scraps for my 100 Days 100 Blocks quilt I figured it was time to get it done. I always knew this would be for my daughter that loves ALL the colors. She picked the pink backing and also requested pink thread for the quilting. Couldn't really say no to that and I love how it turned out! She actually hasn't used it much, which is okay with me because I do! I also used a picture of it to make our "In Stitches" hive logo! It's not finished yet but it needs to be on the list! 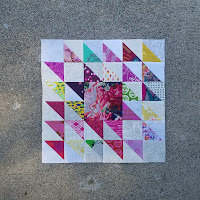 I cannot tell you how much I LOVE this top that I made as part of the Long Time Gone Quilt-Along! I used mostly Anna Maria Horner fabric with some Allison Glass, Cotton & Steel, Tula Pink, Lizzy House, and various low volumes. I just LOVE working with small pieces and this was my first time making "Y" seams, so tried something new! I will admit that I NEVER thought I would finish the pineapple blocks. They took so much time! But somehow I did finish them all and even within the quilt-along timeframe. This probably isn't a color palate I would normally be drawn to but I still love how it turned out. As I was looking back through my photos to include with this post I was reminded of how much I love quilting AND shoes. So of course I love taking pictures of these things together. 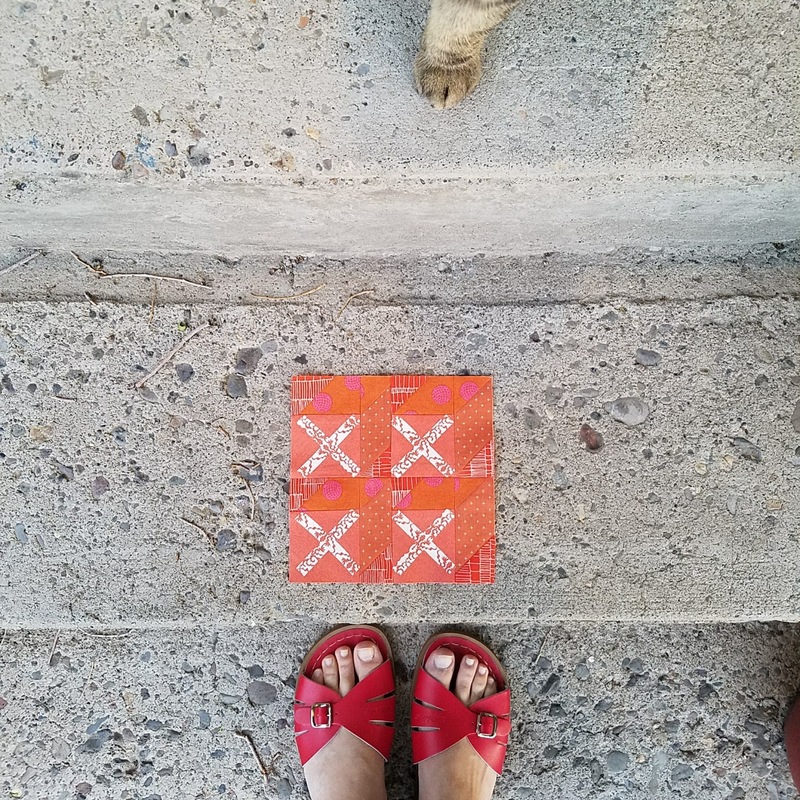 And you can always tell what season it is based on my footwear, and whether or not the kids and cats are "helping" me take the pictures. 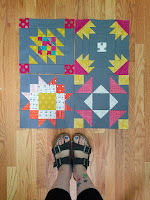 Maybe I need to rename my blog or start a quilt and shoe club! My new hashtag is #quiltsandshoes! This is week two of the 2018 New Quilt Bloggers Blog Hop and there is a group of amazing bloggers you should also go check out this week! Follow the links below to find them! You can see one of my "quilting tips" is to always learn! Push yourself to try new things and learn from the experience of others. So now I would love to learn from you! 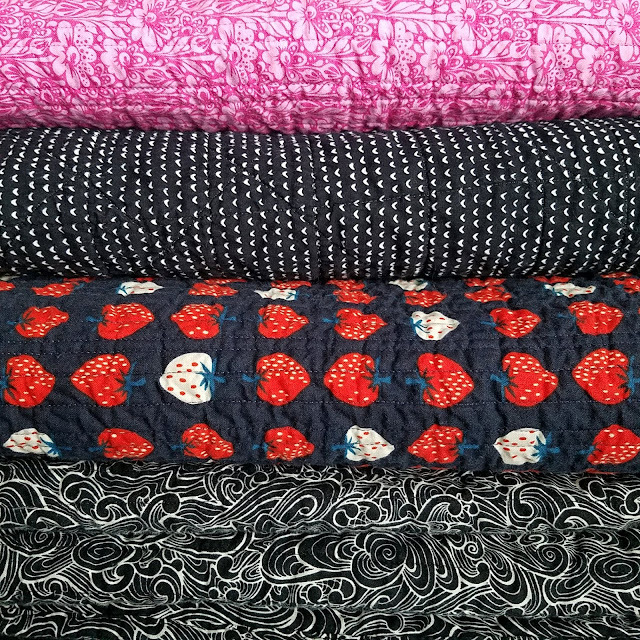 If you could give a new quilter and/or blogger one piece of advice what would it be? What was your biggest quilting "lesson" or your favorite tip or trick? Leave me a comment, I'd love to hear about it. And now for the giveaway!!! There are some fabulous sponsors for the Blog Hop who have offered up some amazing giveaways! I am a part of the "In Stitches" hive, and you can read all about the Blog Hop details and enter the giveaway on my hive leader's blog Sandra - Musings of a Menopausal Melon - mmm! quilts. 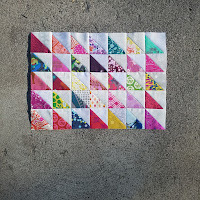 And check out the other co-hosts too to learn more about them and all the New Quilt Bloggers. Beth at Cooking Up Quilts, Jen at Dizzy Quilter, and Tish at Tish n’ Wonderland. Thanks so much for stopping by my blog, hope you come back again!! Wow, you have the great way of stickability!!! Love the shoes and blocks, and two heads are always better than one!!! Advice? not sure, but if I was starting again, it would be to have the best cutting board and roller cutter, best scissors, and best fabric, and plenty of it so I did not run out part way through a project. Too many ,that is 5, but I think they are all equally important. Love your quilts Carrie! I'm not sure if I have any advice except maybe not to save fabrics, cut them and use them. That's the advice I would give to the beginner me. There's always new lines coming out that will be your new favourites. Good luck with your blogging career! Carrie, it was great to meet you and read your story. 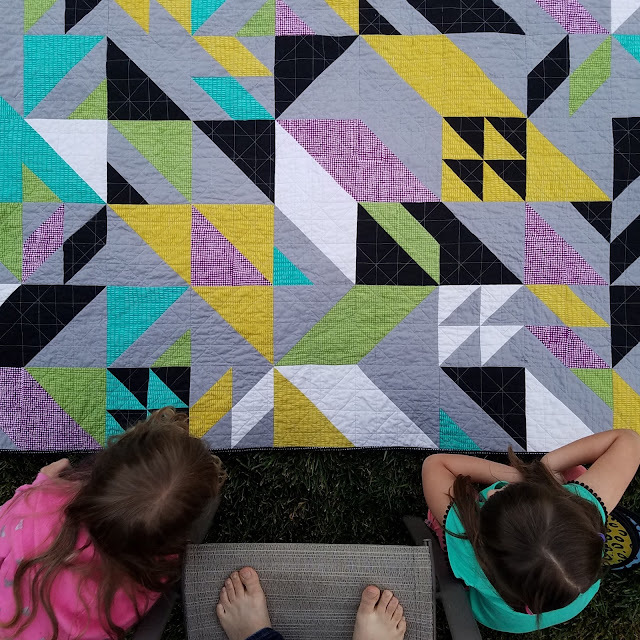 I enjoyed all the quilts you have made and am impressed that your first project was taking on 100 days. That would have scared me to think 100 days. I am glad you are part of this hop and I look forward to seeing where you go next. Carrie, your quilting origin story is impressive! I love your color sense, and I hope you participate in 100 Days 100 Blocks again--I'm planning on it this year for the first time. A lovely intro, and I must say for a new quilter one wouldn't know it from the quilts you've made. Oh my goodness, quilts and shoes! I love shoes, although I'm limited on what I can wear (wide feet). In the winter I used to wear Danskos and in the summers, it's either sneakers or, most often, my Birkies. 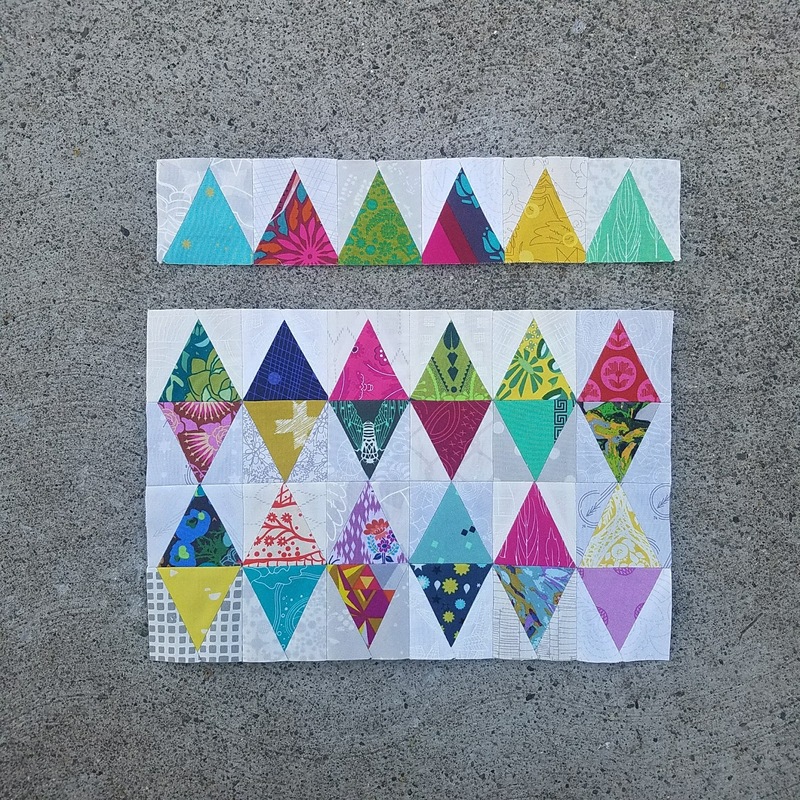 Advice to a new quilter? Do what you know you can do, then try something new. Relax and have fun. Great post, Carrie! You have some great quilts. I love your Rebel quilt. Sandra is great and have lots of knowledge to share. Carrie, this was such a great post and it was great to read more about you. I loved the pictures with your feet! I spied a little kitty cat paw in one of them and it made me smile :) Your quilts are beautiful. I love all the bright fun fabrics. 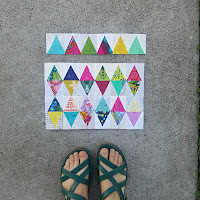 Advice for a new quilter, would be to try not to get stressed out and love every part of your quilty adventure. Hi Carrie! I found your blog through Musings of a Menopausal Melon. I love all the bring, saturated colors you use. Of the quilts I saw on this page, my favorite is "Long Time Gone". I look forward to seeing more of you around blogland. Hi Christine, I hope you see my reply here, I wasn't able to find your email to respond to you directly! I had so much fun making the Long Time Gone quilt. So fun to think about how to put all of the tiny pieces together to make something that looks like it goes together. Thanks for stopping by and leaving a comment! Hi, Carrie! Glad to meet you. My only advice to a new blogger is to let your voice shine through. It makes the writing flow easier that way! My tip would be to check for accurate seam allowances--I once made a block with lots of seams and it did NOT end up the right size! You have made some beautiful quilts--especially the sedimental one! Hi Carrie, Your quilts are just gorgeous. I couldn't you were a beginner as I am. My advice to new quilters is: "Don't give up. Keep it up. It doesn't have to be perfect. Most will appreciate your hard work anyway." Hi Cherie! I hope you see my reply here, I wasn't able to find your email to respond to you directly! I love the advice about things not needing to be perfect. This is something I always struggle with but it isn't that useful when creating. Sometimes mistakes end up giving you the best outcome! Thanks for the comment! For a new quilter you are doing really well for a new quilter you are doing really great. Your Long Time Gone Quilt is beautiful. I have fabrics picked out and the booklet but have to find the time to start. I also love your blog. 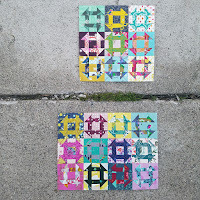 My tip to all new quilters is to measure centers of quilte before adding borders in order to have square quilts. There tutorials on this on the web. If the Quilt is not square as well as the back they are a nightmare to Quilt. Thanks for sharing. 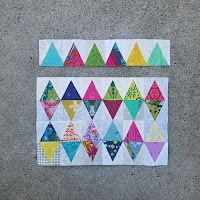 My tip is if you aim for accurate blocks, you need to iron and trim up as necessary. If accuracy is not your thing, ironing is still needed to keep things flat and easier to quilt. 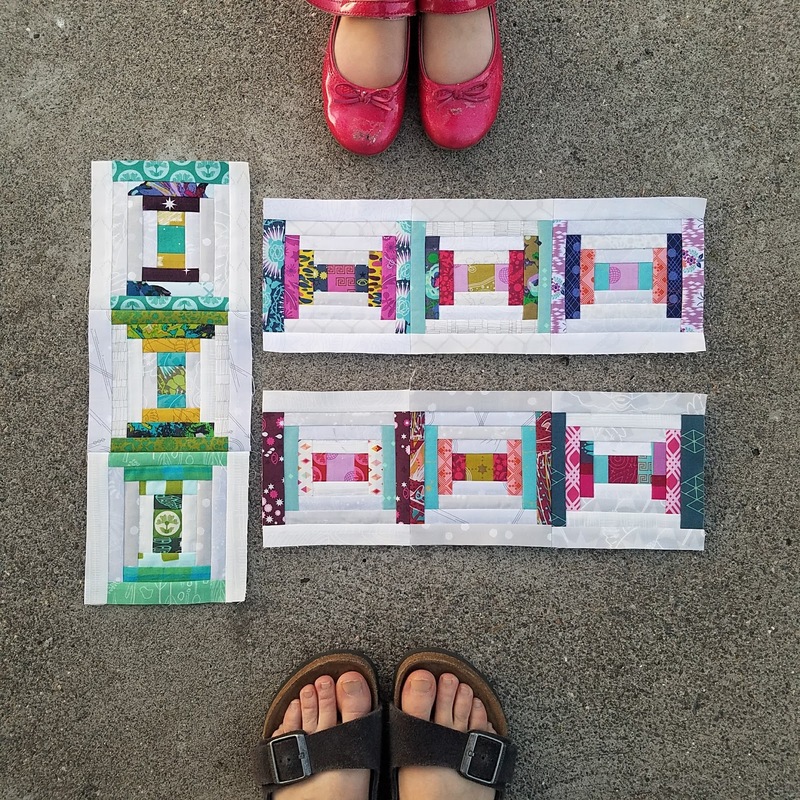 Love the blocks and shoes photos! 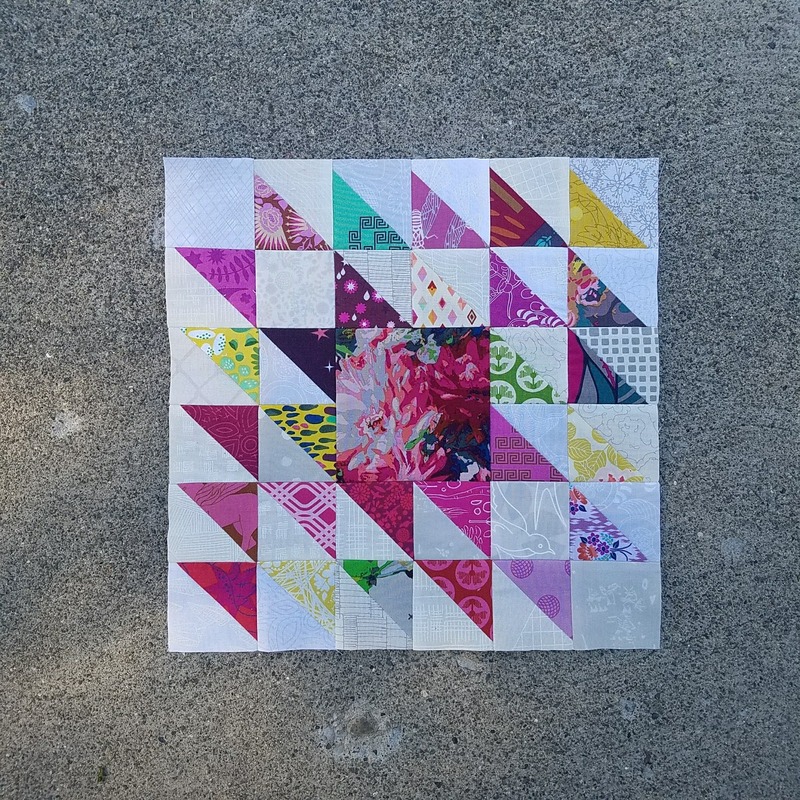 It is so nice to be able to use your quilts, too! Love your post. 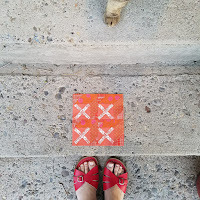 All your blocks have a fresh modern vibe and the pictures with shoes is uniquely artistic. 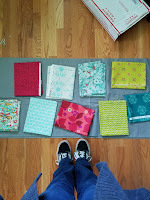 Happy blogging and quilting! I love your quilts! They're stunning, and it's amazing how much you've accomplished in the short time you've been quilting. The pictures of quilts and shoes really made me chuckle, how adorable! Your photographs are so great, I wish I could be so creative with photography! Nice to meet you - I did the hop last year. You are a quick learner and like complex projects. Congrats on all you have learned and continue to learn. I have yet to do a 100day project! Great insights here! Even after quilting 28 years, the best advice really works with everything. STOP. Take a deep breath. Do it 2, 3, even 4 times. START again. It's especially helpful when I'm free motion quilting and feel my shoulders tighten up. Voila back at it nice and smoooooth! I hope you see my reply here, I wasn't able to find your email to respond to you directly! Great advice, it is so easy to get stressed and forget the importance of that deep breath. So important to take a breather :) Thanks for taking the time to read my blog and for commenting! My advice is to enjoy what you are doing at the moment. If you are not in a happy place, don't work on it, as it will be easier to make mistakes and dislike the project. Frame of mind means a lot! 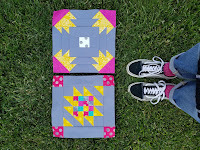 I just love your quilts and shoes photos! They are so eye catching! 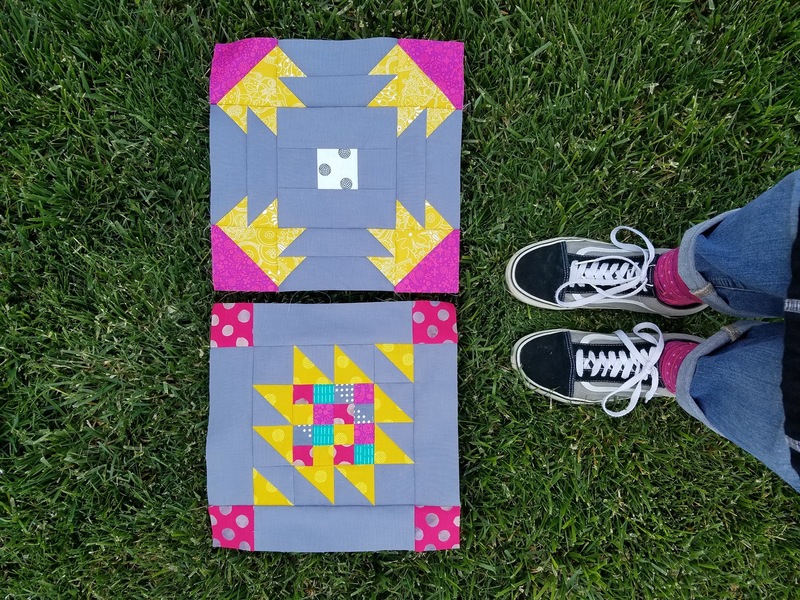 You keep calling yourself a beginner, but those quilts are pretty darn amazing! You are a natural. :) So glad to find your blog, I'll have to find you on IG too! Carrie, I love following on Instagram! Your quilts are amazing; nothing newbie about them. I look forward to watching your quilting journey. And I love your hashtage #quiltsandshoes My daughter and I have wide feet, so finding cute shoes is really difficult. When we find a pair, we surely do love them. Thanks Carrie for sharing your passion and your quilty story. It was nice to learn more about you. Thanks for sharing your story and your pictures! 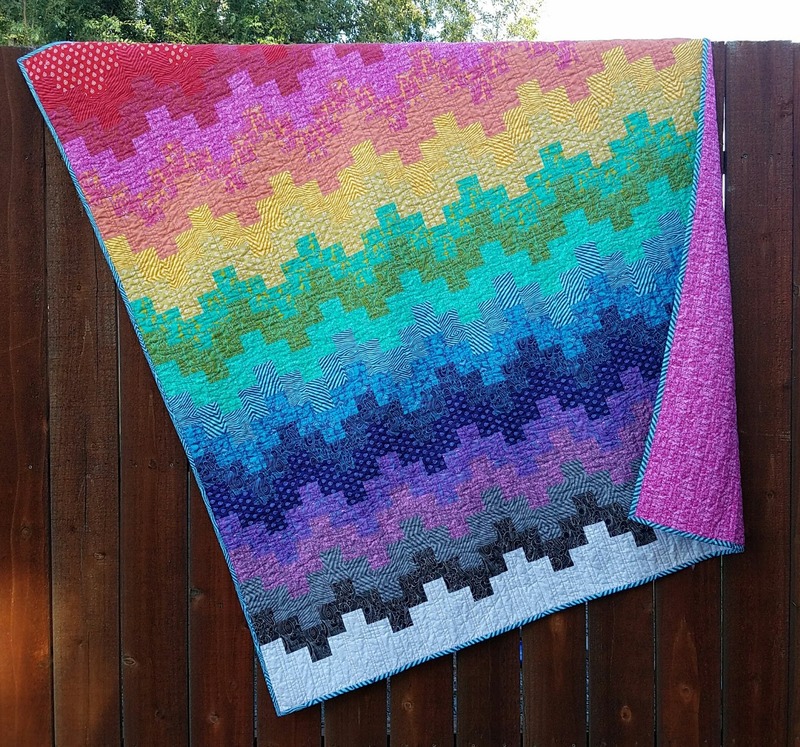 I love quilts with all the colors of the rainbow, so I love the quilt you made for your daughter. My piece of advice is to just keep trying and learning new things. Carrie, you have such a sense of color! 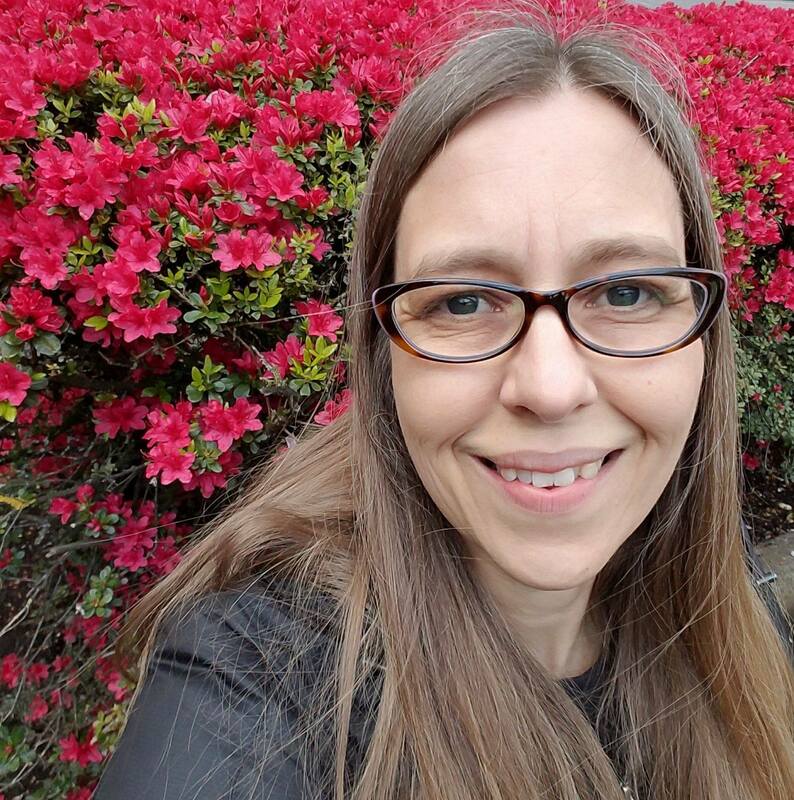 Your quilts are beautiful and so is your photography! What a great post, nice to get to know you! Thank you for sharing. I love your rainbow color quilt. My advice is don't be afraid of making mistakes. You learn the most through your mistakes. Your quilts are lovely. A tip I would give to a new quilter is to keep at it. I've been trying to free motion quilt my own quilts. I can see in some ways, I'm getting better but still have a lot to learn. I enjoyed your Blog. I love all your quilts Carrie. You have great taste in fabric and know how to put it together well. I also often have my feet in my photos but I don't have as many great pairs of shoes as you...lots of socks though. We all keep learning and that is so great. I think you have already taken my advice... Cut it, sew it, repeat. The best way to learn. Your quilts are beautiful. Thanks for sharing. Your quilts are beautiful!! I feel like I should be asking you for advice, lol. My favorite advice I've heard is "finished is better than perfect". Also, one thing I'm working on, is making time to sew! quilts and shoes, now that is original. my tip, enjoy the process. Beautiful quilts! To get better with FMQ, practice a little each day...you’ll be surprised how much better you get even in one week. Thanks for sharing! I think my accuracy improved once I started making sure that I had pressed well, squared up blocks to where the should be, marked off my quarter inch seam and mainly slowed down so that things came out right. Thanks for a great show and tell. 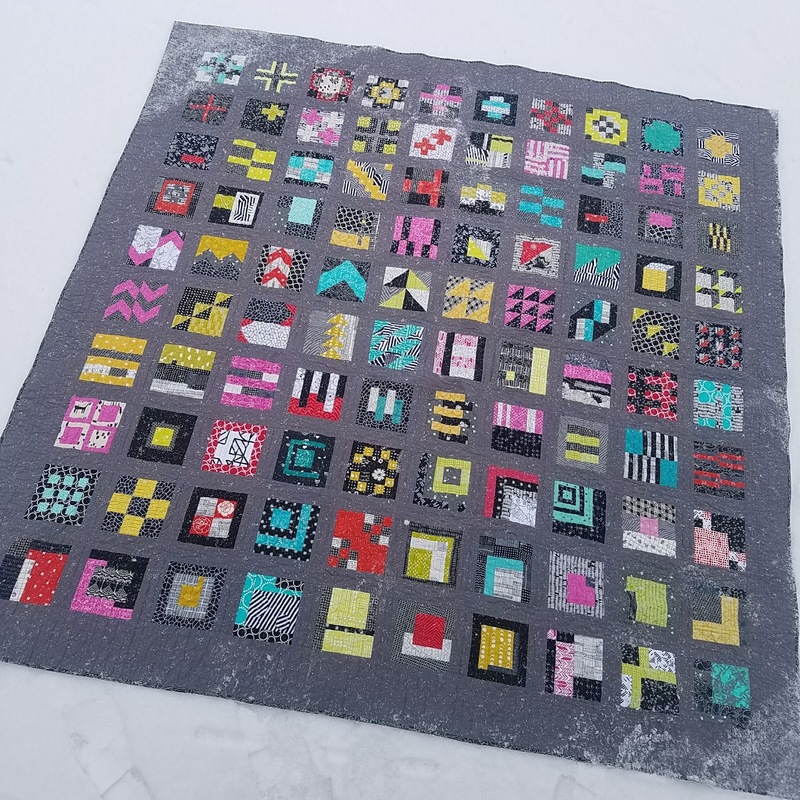 I love your 100 modern blocks quilt! Really stunning. I made one as a SAL, also, but we were sewing 3 blocks per week. A block a day sounds pretty intense! One tip I learned on the new blogger's hop last year, was when you add a link to your narrative, make sure you check the box that says "open this link in a new window", so the reader doesn't lose your blog page. Beautiful quilts and I love Tula Pink. Hi Carrie, lovely to know you. You have created some great quilts in such a short time. Its great to see you have found your love in quilting. My best tip - only work with fabrics you love!!! Altho I'm not drawn to modern quilts, I can really appreciate the work/workmanship in your quilts . . . you are doing a MARVELOUSLY great job!!!! My favorite tip? Cut your scraps into useable shapes as you go. That way, you won't be left with a box full of scraps you have to process before using. Nice to meet you! My goodness, you've made and done a lot of quilting in such a short time. My advice comes from my mama, "If you don't want to rip (take out a mistake), then you shouldn't be sewing." She reminds me all the time when I grab my seam ripper and give that defeated sigh. Don't be afraid of trying for fear you'll make a mistake. And when you do make a mistake, grab your seam ripper so you can retry. Love the collage of shoe pictures!!! You've produced a lot for being so new to the hobby! 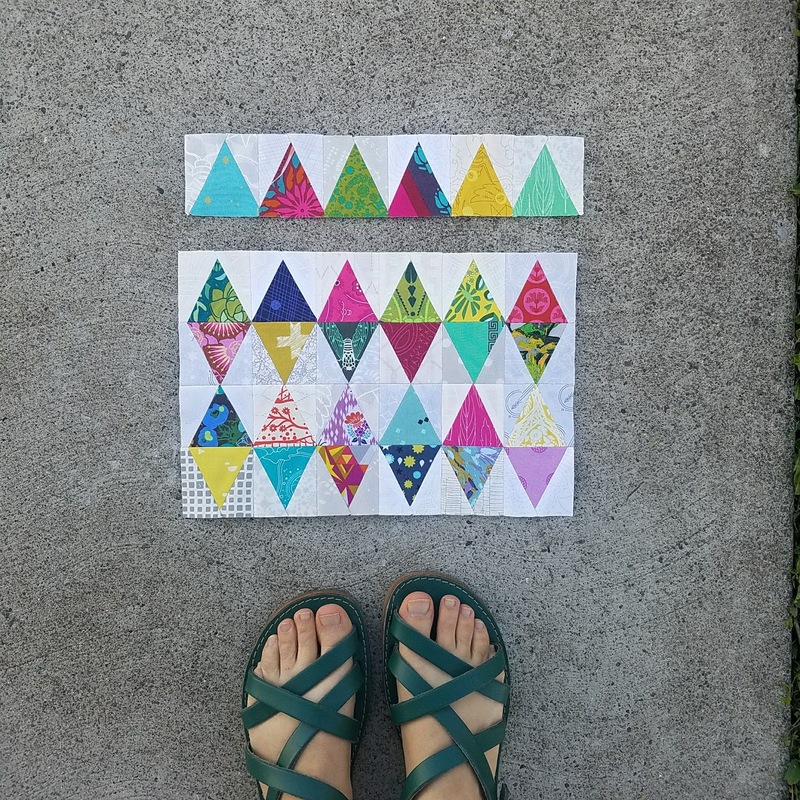 My tip is don't get discouraged, and celebrate other quilts rather than compare to them. Nice quilts and really like the 100 Blocks quilt! Love your playful use of colors! And the shoes, of course. 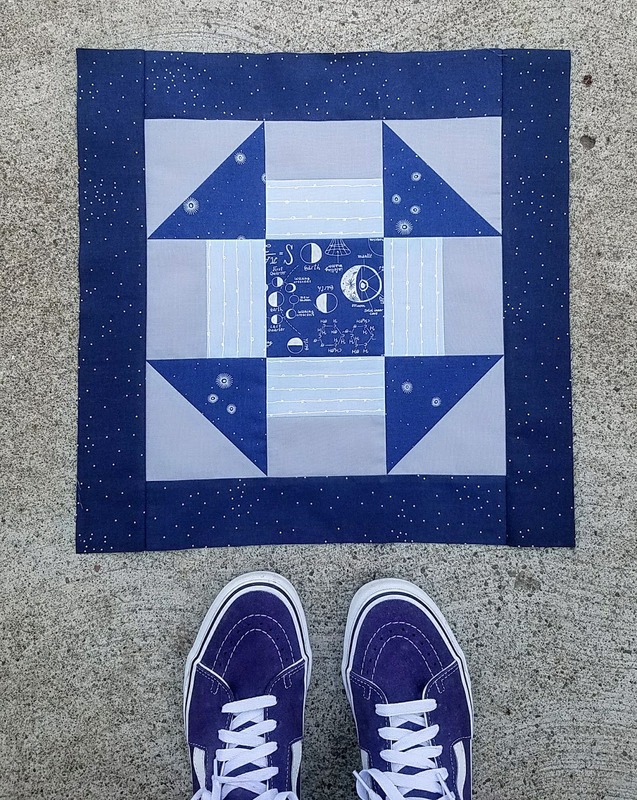 Thanks for sharing, and enjoy your quilting journey! What a great post!! You have done amazing things in your short time quilting!! My tip would be to just go for it!! If it doesn't work--well you can either try again--or move on to something new!! You've got some beautiful finishes on your list. Love the Sendimental Quilt. My daughter is really into rainbow themed quilts as well. What I've learned is that fitting quilting into life has to be deliberate. So I try to find 15 minutes each day to stitch and work on my priority projects first. Maybe if I'd started with that strategy, I wouldn't have a long list of UFOs! 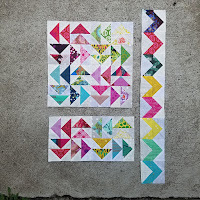 For a tip I recommend quilt tutorials as they are a great resource for new and seasoned quilters. 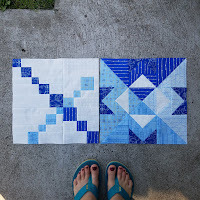 Such beautiful quilts, I wouldn't have guessed that you had limited sewing experience! 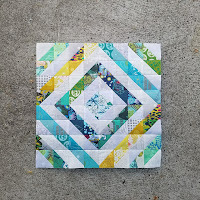 My quilting tip is to make things that make you happy. That way your quilting will always be fun. Also, before committing to a whole project with a new block or technique do a test block or two to be sure you will like making them. Welcome to quilting! I love your color choices. 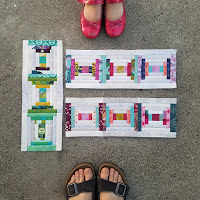 I love how you finished your 100 Days 100 Blocks! Mine are in a box waiting to be sewn into a quilt!